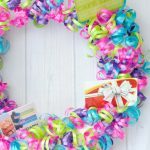 A Peek at the Fun: Do you have some Fortnite lovin’ kiddos at your house? 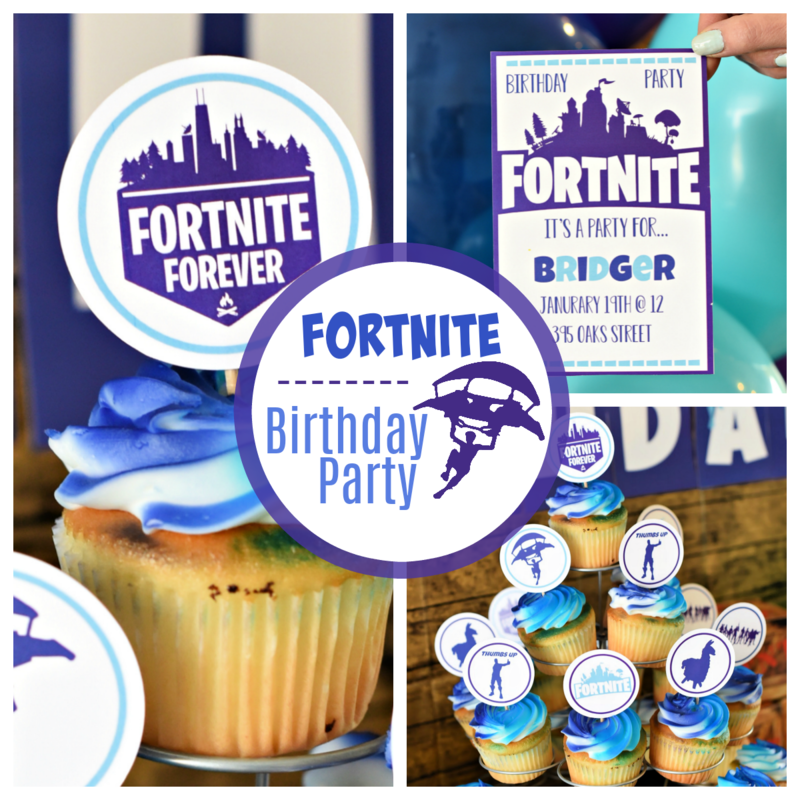 If so, this fun Fortnite Birthday Party will be a huge hit! 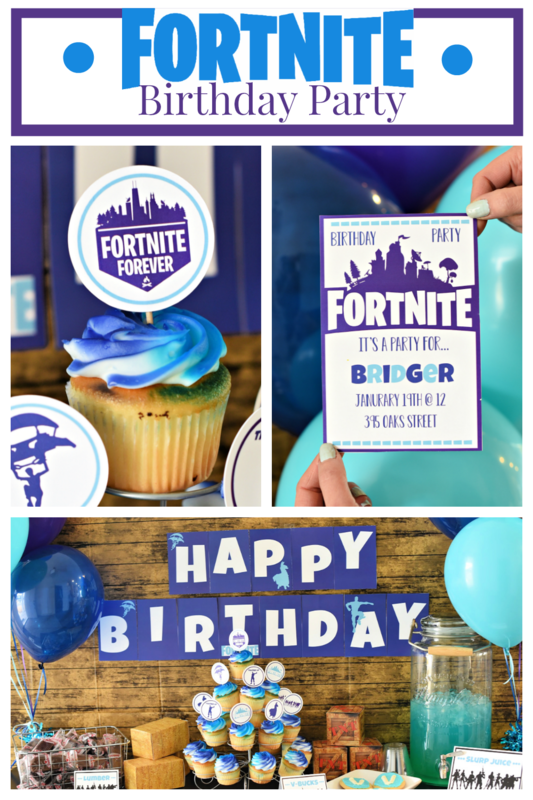 My middle kiddo just turned 13 (in case you are keeping track, that’s two teens at my house) and we had a blast throwing this Fortnite birthday party for him. 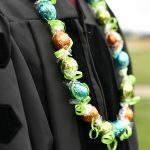 This year was a family party year for him-we alternate every other year between friends and family parties-and this Fortnite party was so perfect! We invited all of the cousins, aunts and uncles to come play and eat Fortnite style with us. And as always, we kept things super simple. 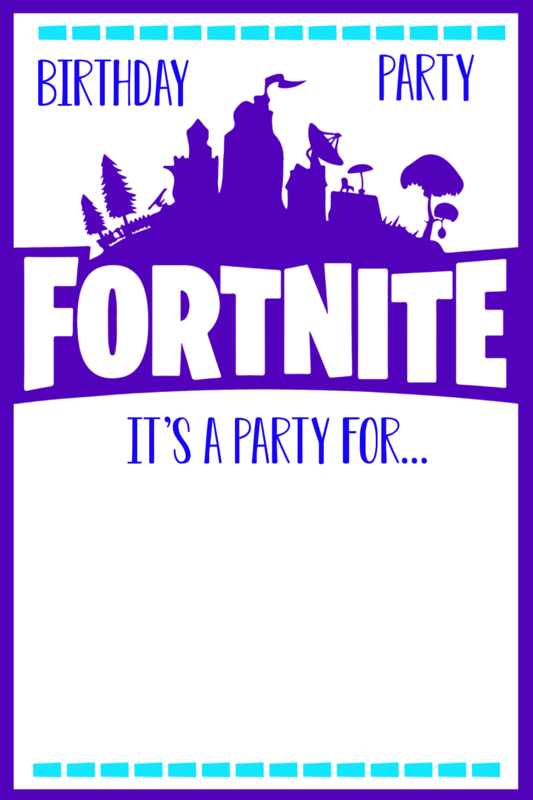 So, we have all the things you will need to put together your own fun and simple Fortnite party. 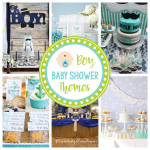 Your Fortnite lovin’ kiddos will love all of these fun details. 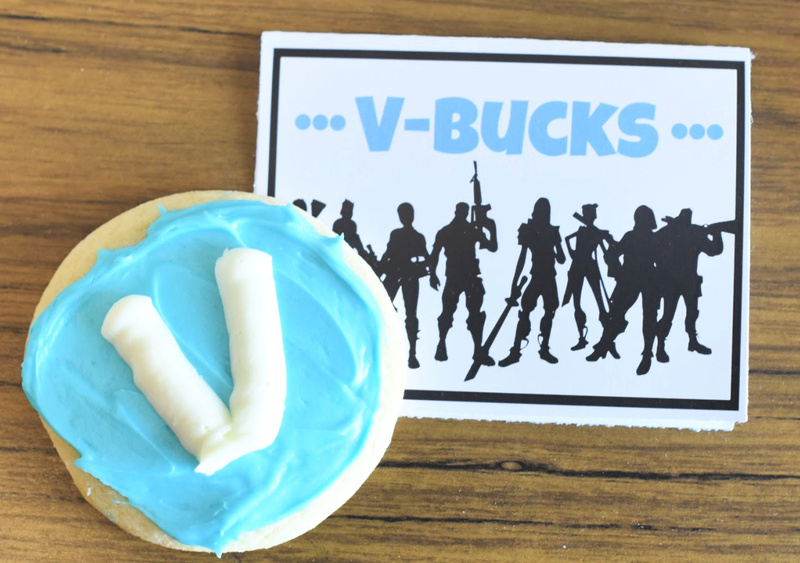 Parties are all about the yummy food, and we kept it simple and on point with Fortnite! 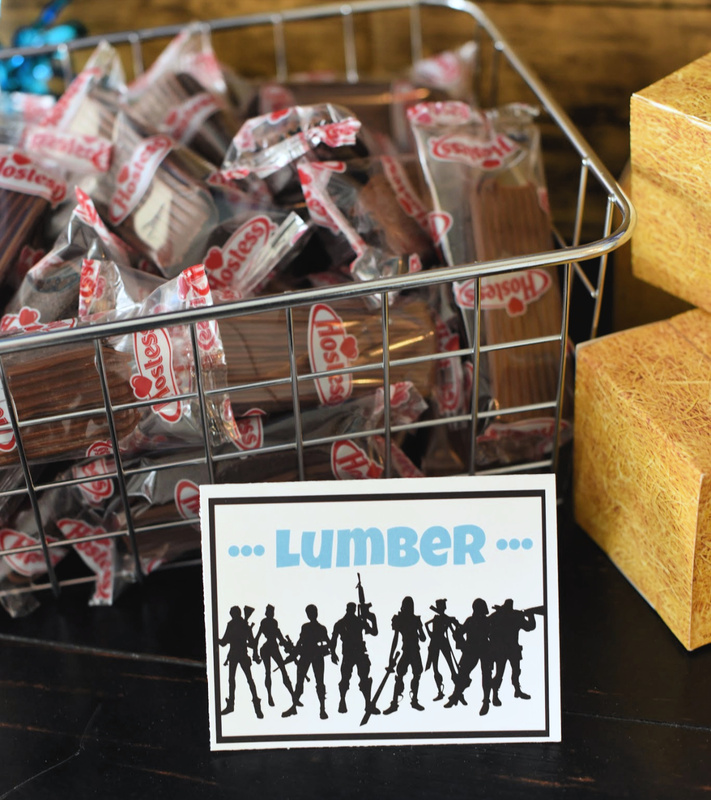 Chocolate Zingers doubled as lumber for a fun and punny treat. And these were the first treat to disappear. 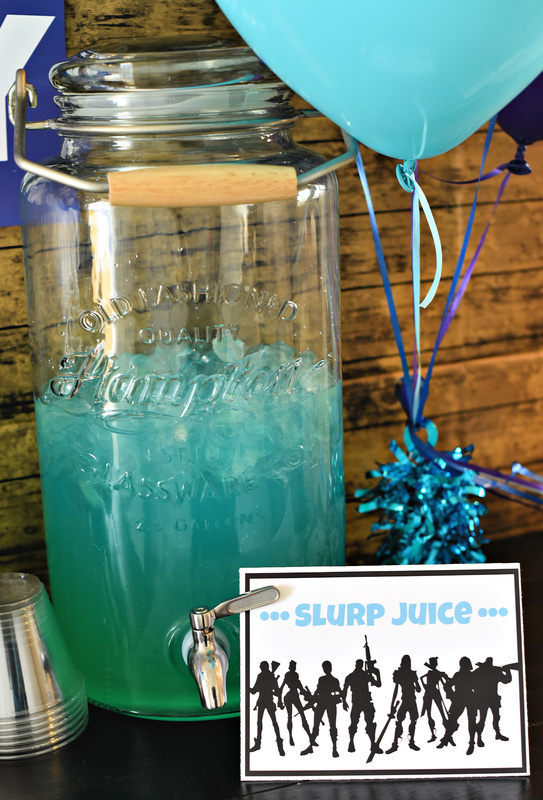 Every Fortnite party needs to have slurp juice on hand, and this slurp juice was really fun. We used blue Gatorade and Lemon-Lime Kool-Aid to achieve the subtle layered look. When you are making a layered drink you need to make the bottom layer heavier than the top. We added Karo Syrup to the Kool-Aid to make sure it would be more dense. 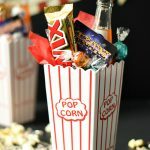 Add the bottom layer to your container, then fill with ice. The juice will stay separated better when it’s cold. Slowly pour the blue Gatorade over the top, trying not to mix the layers. Your slurp juice will be perfection! 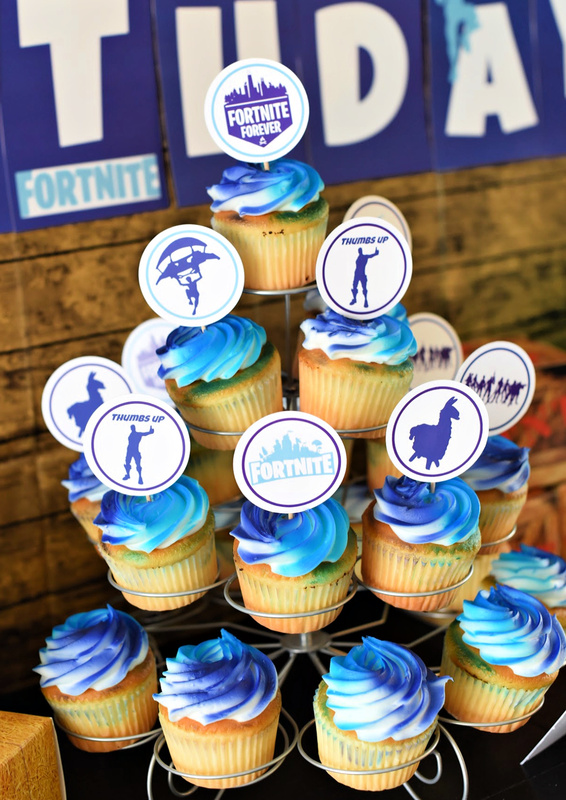 And because no party is complete without cupcakes, we included these fun cupcake toppers to make your cupcakes Fortnite perfections. 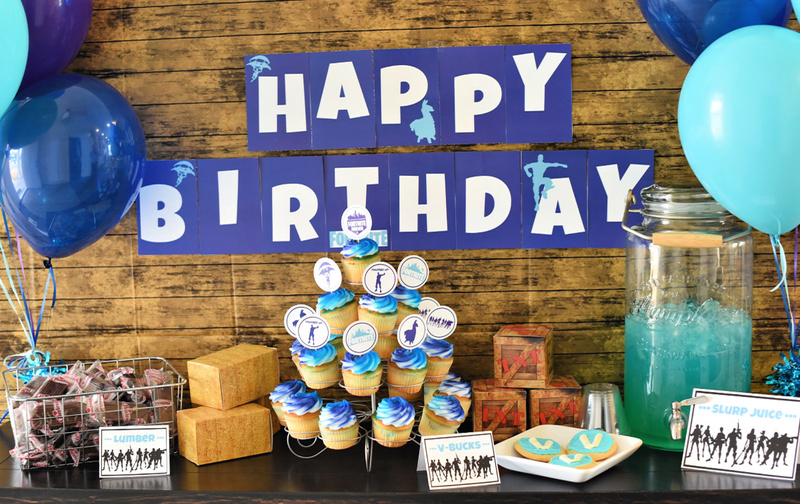 We simply ordered these cupcakes from our local bakery in the color scheme we wanted, and added these toppers. They were so cute on the table, and a tasty addition. 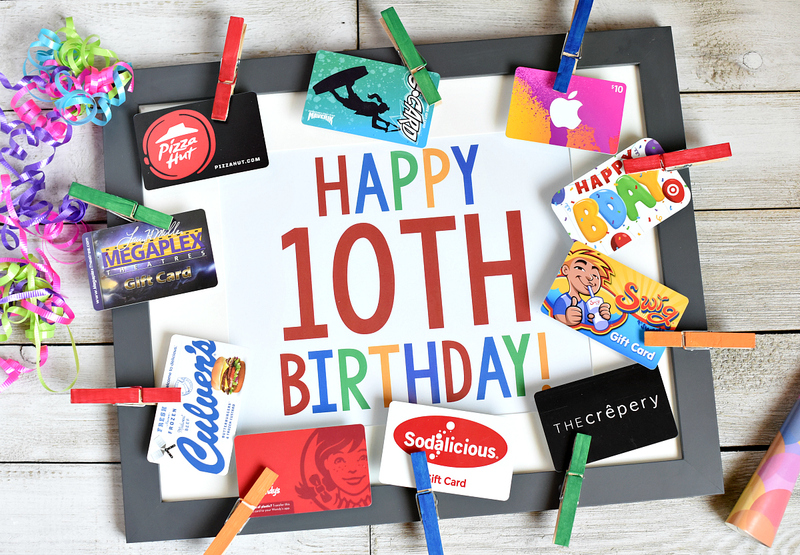 Of course a party needs to have a bit more than food, we have you covered on that front too! We played a fun Fortnite party game with our guests and it was such a blast. We had scheduled our party to go for two hours, and well into hour 3 we finally had to call the party done. But people were still wanting to stay and play! I promise, this game is a huge hit! 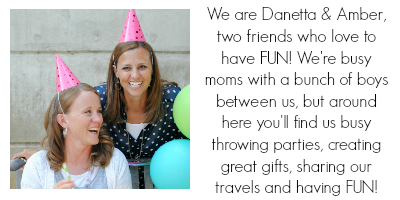 I have written all of the details for you- click here! We have everything we used here for you to print. We have it ready for you, simply click on them and they are ready to print. 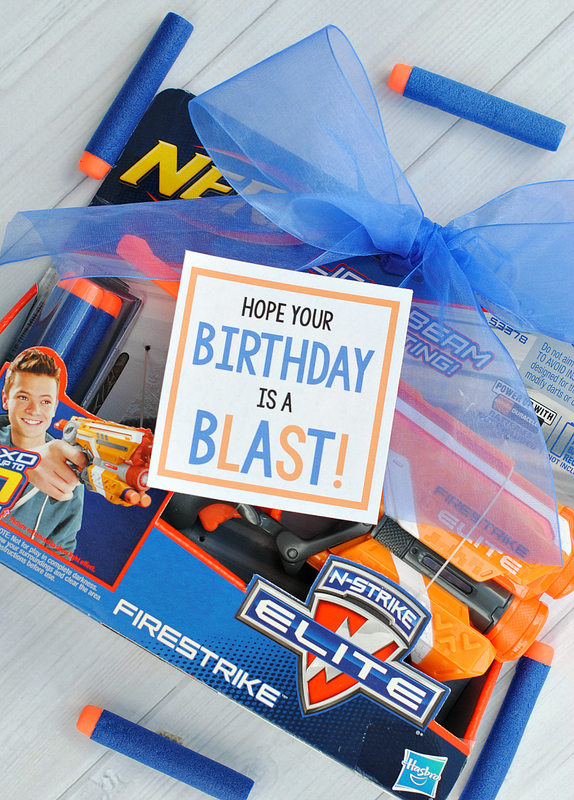 Have FUN hosting your own Fortnite Birthday Party!